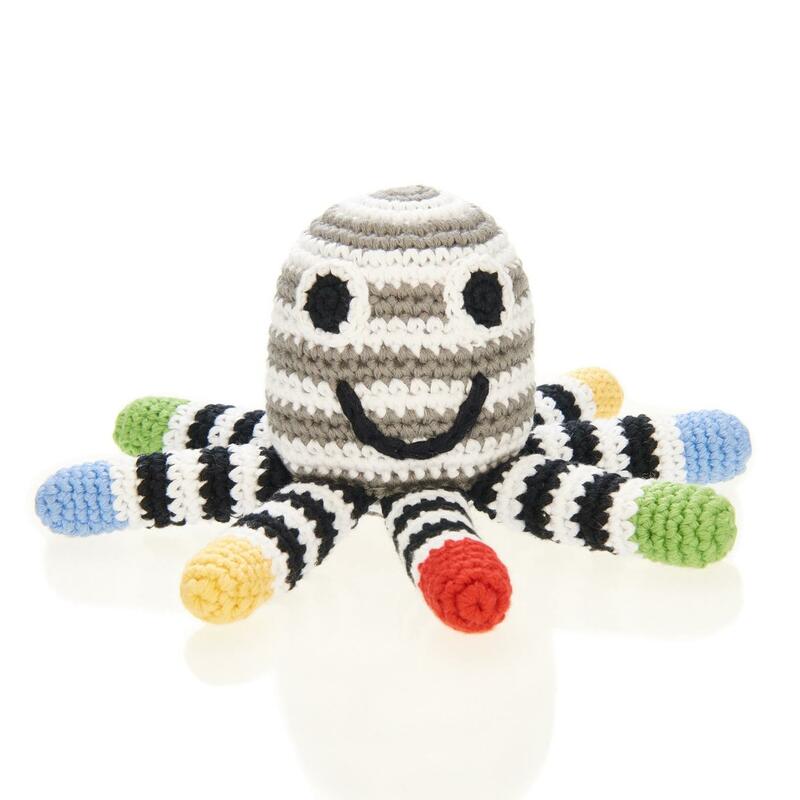 This cotton octopus baby rattle is part of Pebble's black & white sensory baby rattle range. As newborn babies are unable to see colour, high contrast black and white toys are ideal and provide stimulation for eye development, making this rattle an ideal sensory baby toy. What else do we love about the Pebble octopus range?